Microsoft announced earlier this week that they will be releasing their Xbox Wireless Adapter sometime during this upcoming fall for a reasonable price of just $24.99. What is the significance of this product? Well, this adapter allows players to use their Xbox One controller on their PCs without needing to worry about getting their controller tangled up with a cable. Apparently, the adapter has been primarily designed for Windows 10 PCs, laptops, and tablets. Maybe you are not interested in spending an extra $25 on this, but you still want to use your Xbox controller on your PC. As stated by Microsoft, Windows 10 platforms will additionally support Xbox One controllers by using a Micro USB cable. In a separate $79.95 bundle, Microsoft will package both the adapter and a new Xbox One controller that includes a 3.5mm Audio Jack. You can read all about this forthcoming Xbox One controller here. After reading up on this upcoming Microsoft product, I'm quite thrilled considering I can now play Modern Warfare 2 on my PC without needing to be a few inches away from my laptop. This will be very useful for me personally, but will it be useful for you? 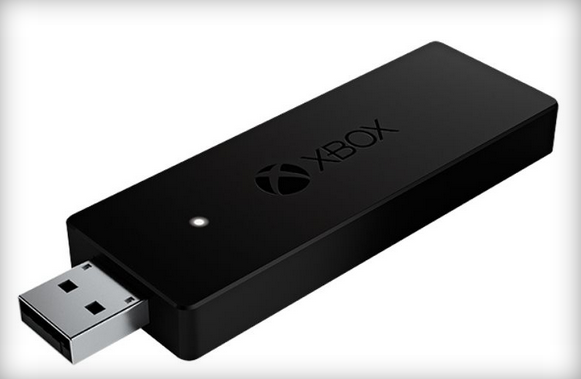 Will you be purchasing an Xbox Wireless Adapter? Do you think all of the prices are reasonable? Leave your comments down below, as I look forward to reading them.